Fiat Chrysler Automobiles said Friday it is recalling more than 1.25 million pickups worldwide to address a software error linked to reports of one crash death and two injuries. The erroneous code could temporarily disable the side airbag and deployment seat of belt pretensioners -- which reduce seat belt slack during impacts -- during a vehicle rollover spurred by a significant underbody impact, such as striking onroad debris or driving off-road, the automaker said. The company will reprogram computer modules in the affected vehicles to address this error. An FCA spokesman said the likelihood of an incident was very low because a sequence of events was needed to cause an incident. There is no definitive proof the error was involved in two accidents, one of which resulted in a fatality, but the automaker was conducting the recall proactively, he said. The spokesman declined to say whether the code was produced inhouse or by an FCA supplier, saying "we do not discuss supplier relationships." The recall covers 1.02 million 2013-16 Ram 1500 and 2500 pickups, and 2014-2016 Ram 3500 pickups in the U.S., 216,007 vehicles in Canada; 21,668 in Mexico; and 21,530 outside North America, the automaker said. Fiat Chrysler said the recall would start late in June. If the error code appears in an affected vehicle during operation, the problem could temporarily be addressed by turning the vehicle off and then on, the company said. The automaker told the U.S. National Highway Traffic Safety Administration it began investigating the issue in December after it received notice of a suit involving a 2014 Ram 1500 in which the airbag failed to deploy in a rollover crash. A growing number of auto recalls have been sparked by software issues as more vehicle functions are controlled by computers. In September, General Motors recalled nearly 4.3 million vehicles worldwide due to a similar software defect that can prevent airbags from deploying during a crash, a flaw already linked to one death and three injuries. Fiat Chrysler has been working to move faster to address vehicle issues after being fined twice in 2015 by the NHTSA. In December 2015, the company was fined $70 million for failing to report vehicle crash deaths and injuries since 2003. In July 2015, Fiat Chrysler agreed to a $105 million settlement with NHTSA for mishandling nearly two dozen recall campaigns involving 11 million vehicles. It agreed to a three-year consent agreement and monitoring by former Transportation Secretary Rodney Slater. 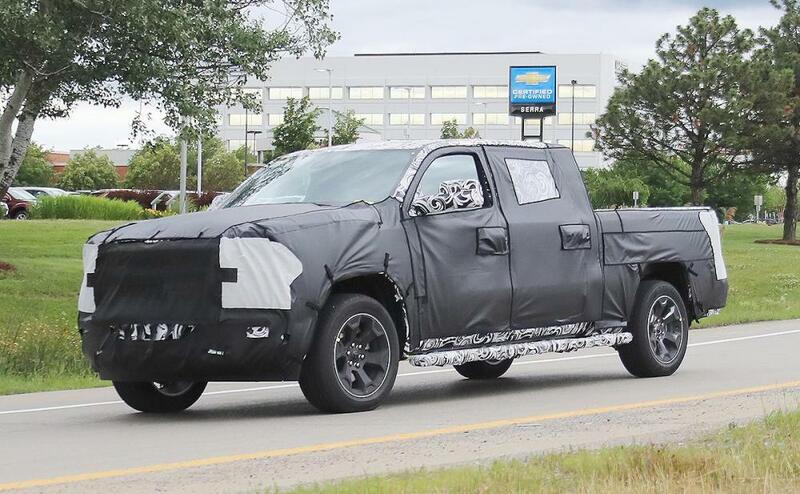 Spy photographers have caught the redesigned Ram 1500 during testing, and despite heavy camouflage some features of the truck are evident, including an apparent longer wheelbase and a new tailgate that folds down and splits in the middle to provide closer access to the bed. The next-generation light-duty pickup, which carries the DT body code, is to be revealed in January at the Detroit auto show. Fiat Chrysler will begin production of the truck that month at a retooled Sterling Heights, Mich., assembly plant. FCA will continue building the current version, the DS Ram 1500, at the nearby Warren Assembly plant in suburban Detroit while production of the DT version ramps up, supplier sources say. As Automotive News first reported in September, the next-generation Ram 1500 will continue to use steel for most of its body panels instead of switching to aluminum like the Ford F-150. The pickup's exterior styling will be largely evolutionary, keeping the accentuated raised hood and mammoth chrome grille, albeit in a slightly changed shape, according to sources. The headlights will shrink and be more integrated into the grille than those of the current generation, giving the vehicle's front fascia a toughened, squinty appearance. Under the hood, the new Ram 1500 is expected to get an upgraded 3.6-liter Pentastar engine with direct injection. A turbocharged inline-four will be optional, according to spy shots. FCA officials have said that the company plans to incorporate fuel-saving belt-start generators in its next-generation pickups to further improve fuel economy. But continuation of the Ram's 3.0-liter V-6 turbodiesel in the new generation depends on FCA working out legal concerns with federal regulators over alleged, undeclared engine control software discovered during testing. New technologies under the hood will require more air, forcing designers to include a new large air intake above the tow hooks on the front bumper. Horizontal fog lights integrated into the front bumper will largely mimic the styling of the headlights above, sources said. Staying with steel will allow the Ram to separate itself from competitors by using more complex shapes in its body panels. The pickup's side panels, for example, are said to feature a styling line -- front-to-rear including around the top of the wheel wells -- to evoke a more muscular stance. At the rear, the retooled Ram's taillights will be smaller, with backup lights integrated vertically nearer the tailgate, instead of their current location at the bottom of the taillights. 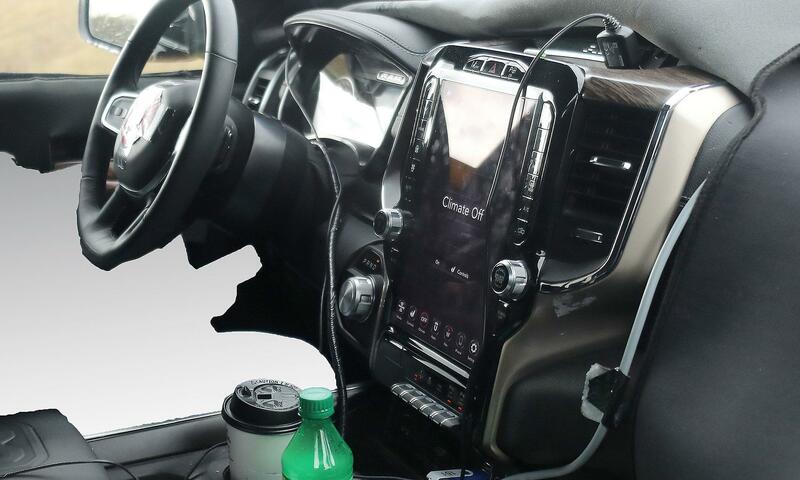 Inside the cab, the biggest change is expected to come in a new, flattened center console layout that will allow for additional storage space, along with an infotainment system upgrade to the latest versions of FCA's Uconnect system, sources said. WASHINGTON -- Fiat Chrysler Automobiles said on Friday it is recalling 1.33 million vehicles worldwide in two separate campaigns for potential fire risks and inadvertent airbag deployments. The automaker said it is recalling about 770,000 SUVs because of a wiring issue that may lead to inadvertent deployment of the driver-side airbag and is linked to reports of five related minor injuries, but no crashes. The company said wiring could chafe against pieces of steering-wheel trim, potentially causing a short-circuit and ultimately leading to an inadvertent airbag deployment. The issue could also cause unintended windshield wiper operation or inoperable switches. The recall covers 538,000 2011-2015 Dodge Journey vehicles in North America and 233,000 2011-2015 Fiat Freemont crossovers sold elsewhere. Dealers will inspect and replace the wiring, as needed and equip it with additional protective covering. The automaker is also recalling 565,000 vehicles to replace their alternators because of fire risks. The company said hot ambient temperatures could lead to premature diode wear, may result in a burning odor or smoke, could impact the anti-lock braking system or lead to engine stalls. The company said it is aware of two potentially related accidents but no injuries. The recall covers 2011-2014 model year Chrysler 300, Dodge Charger and Dodge Challenger cars and Dodge Durango SUVs and 2012-2014 Jeep Grand Cherokee SUVs. In October, FCA recalled about 86,000 Ram 2500 and 3500 pickup trucks, 3500, 4500 and 5500 chassis cabs from the 2007-2013 model years and 2011-2014 Dodge Charger Pursuit sedans for the same alternator issue. FCA said at the time one minor injury was related to the recall. Dealers will replace the alternators. 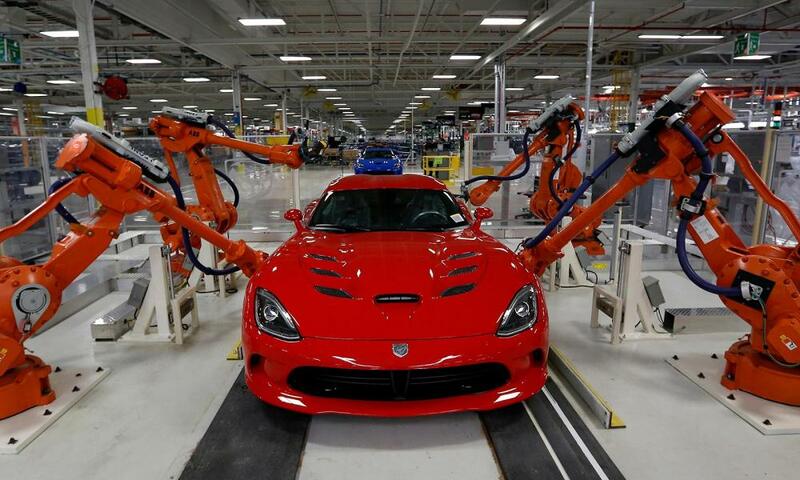 DETROIT -- Fiat Chrysler will permanently close its Conner Assembly Plant here on Aug. 31, as production of the Dodge Viper ends. In its 2015 contract with the UAW, FCA said it would end production of the low-volume, high-powered $90,000 sports car. No replacement had been planned for the plant. The plant employs more than 80 people who build Vipers by hand. In a notice filed on June 30 with the state of Michigan, FCA said it expected it would be able to offer positions to all of affected employees at other locations. Last year, FCA sold 630 Vipers, down 8.7 percent vs. 2015. Conner is FCA's smallest assembly plant in North America, where the automaker has built the Viper -- with interruptions -- for over 25 years. Production will end in August because the two-seater cannot meet new safety regulations which go into effect Sept. 1. FCA has been celebrating the Viper's sunsetting production for more than a year. Over the years, workers at Conner Avenue, many of whom transferred in from other FCA plants in the metro Detroit region, suffered frequent layoffs as Viper sales waxed and waned, but chose to remain at the plant because of its special nature first within Chrysler and later within FCA. The plant operated as a bespoke car assembly facility in terms of the hand-assembly and painting process each Viper underwent. DETROIT -- Fiat Chrysler’s former labor-relations chief, Alphons Iacobelli, used $1 million intended to train UAW members to buy himself a Ferrari, two solid-gold pens costing $37,500 each, a swimming pool and other luxuries, according to an indictment from a federal grand jury on Wednesday. Iacobelli, who abruptly left the automaker in June 2015, also allegedly helped funnel $1.2 million from the UAW-Chrysler National Training Center to General Holiefield, who was in charge of the UAW’s negotiations with FCA at the time. Holiefield died in 2015, but his widow, Monica Morgan, also was indicted. 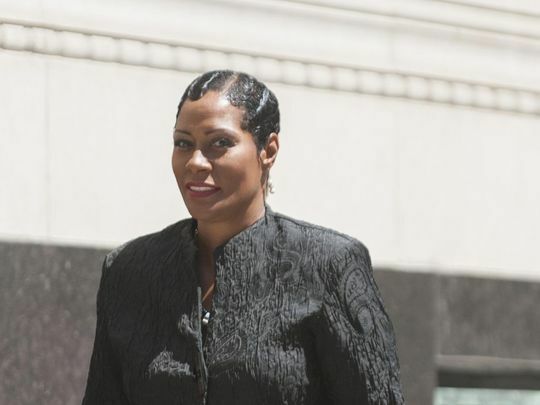 Holiefield and Morgan, 54, used the money to buy first-class airfare, jewelry, designer clothing and furniture, the indictment says, in addition to paying off the $262,000 mortgage on their suburban Detroit home. Iacobelli, 57, and Morgan, 54, were charged with criminal violations of the National Labor Relations Act. Separately, federal officials announced fraud charges against a former FCA financial analyst, Jerome Durden, who is accused of creating false tax returns to hide the payments to Holiefield, Iacobelli and other beneficiaries who were not identified. A spokeswoman for the U.S. Attorney’s Office Eastern District of Michigan declined to comment on if other individuals would be charged, citing it is an ongoing investigation. David DuMouchel, Iacobelli’s lawyer, declined to comment. Steve Fishman, Morgan’s attorney, didn’t immediately respond to an email seeking comment. The charges come at an inopportune time for the company and union, as thousands of Nissan workers in Canton, Miss., are scheduled to vote next week on UAW representation. For FCA, it adds to a wave of legal trouble for a company beset by federal investigations into possible environmental, safety and securities violations. The alleged actions occurred between 2009 and 2014. There was no date set for an arraignment. The 42-page indictment charges Iacobelli and others acting in the interest of FCA with making over $1.2 million in prohibited payments to Morgan, Holiefield and others. There was no date set for an arraignment. It was not immediately clear if other individuals would be charged. The indictment lists several unnamed individuals who may have been involved in the conspiracy. The alleged prohibited payments and gifts occurred between 2009 and 2014. Iacobelli also was charged with tax violations related to diverting over $1 million in funds from the training center for his own benefit, including purchases of: a Ferrari 458 Spider costing more than $350,000; leasing a private jet; two limited-edition Mont Blanc pens costing $37,500 each; a pool and hundreds of thousands of dollars in improvements to his residence; and hundreds of thousands of dollars in personal credit card expenses, among other purchases. Morgan also was charged with using the companies Monica Morgan Photography, Wilson's Diversified Products and a third company to conceal payments made by Iacobelli and others acting in the interest of FCA to Holiefield and with failing to report the income she received through those companies on her individual tax returns. Acting U.S. Attorney Lemisch also announced that a separate information was unsealed charging Durden, 61, with conspiracy to defraud the United States by impairing, impeding, and obstructing the Internal Revenue Service. Durden served as the controller of the training center from 2008 through 2015. "The funds misapplied deprived working men and women of critical workforce and professional development opportunities and calls into question the integrity of contracts negotiated during the course of this criminal conspiracy,” said David P. Gelios, Special Agent in Charge, Detroit Division of the FBI, in a statement. The company said it first learned about the alleged actions in June 2015, and after an internal investigation fired Durden and Iacobelli. FCA originally said Iacobelli retired from the company. FCA says it also has worked with the UAW to implement governance, auditing and structural reforms to improve the accountability and transparency of the NTC. UAW President Dennis Williams said in a statement late Wednesday that he is “appalled” by the allegations laid out in the indictment, saying they would constitute “a betrayal of trust” on Holiefield’s part. Williams said the union has hired independent counsel to lead an internal investigation into the allegations. He said the UAW and FCA would implement a host of changes “aimed at enhancing transparency and internal controls at the NTC,” including requiring an annual, independent audit of the NTC’s finances and banning donations from the center to charities run by UAW officials. Iacobelli, meanwhile, was most recently hired by General Motors in January 2016 as executive director of labor relations. A spokesman for GM said the company is aware of the charges, and is “checking into it.” He declined to confirm if Iacobelli remains an employee. Congress enacted the National Labor Relations Act, commonly known as the Taft Hartley Act, in 1935 to protect the rights of employees and employers, to encourage collective bargaining, and to curtail certain private sector labor and management practices, which can harm the general welfare of workers, businesses and the U.S. economy. An indictment is only a charge and is not evidence of guilt. Every defendant is entitled to a fair trial in which it will be the government's burden to prove guilty beyond a reasonable doubt. 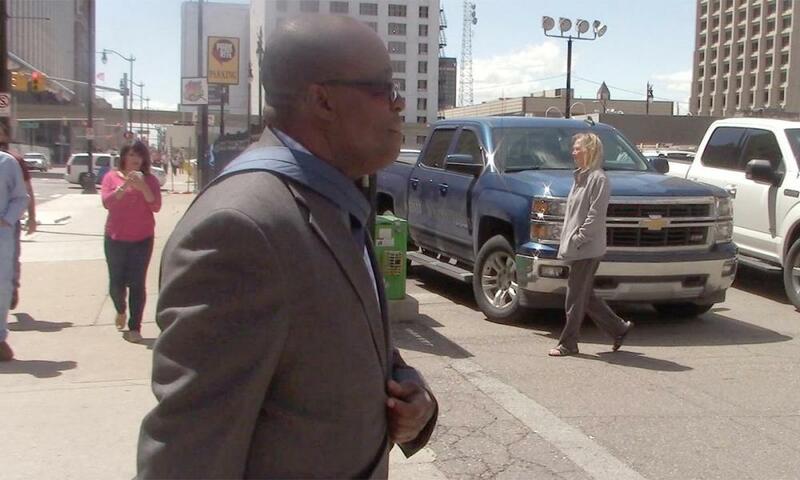 DETROIT -- Former Fiat Chrysler financial analyst Jerome Durden was released on a $10,000 bond Friday after he was charged in federal court on accusations of participating in a plot between the automaker and the UAW to pipe millions from an employee training fund for personal use. Durden, 61, faces one count of conspiracy to defraud the United States and one count of failure to file a tax return while he worked for the automaker. The fraud charge carries a maximum penalty of five years in prison and a $250,000 fine. The tax charge carries a maximum penalty of one year in prison and a $20,000 fine. In a 16-page indictment, unsealed last week, prosecutors say more than $1 million in UAW-ChryslerNationalTrainingCenter funds were spent by FCA executives and union leaders for personal use. The indictment alleges Durden used $4,300 in union funds to purchase and install carpeting in his home in suburban Detroit. Durden's lawyer, Judith S. Gracey, declined to comment. 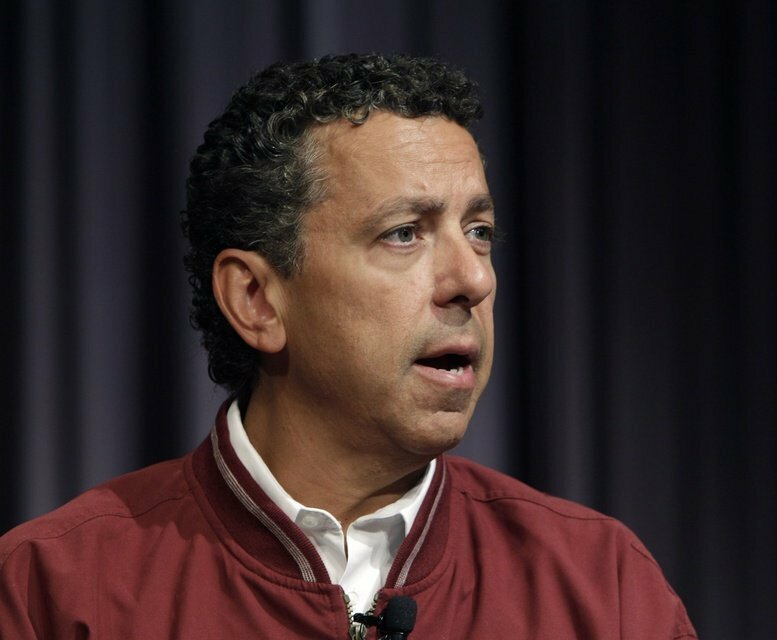 In a separate indictment released last week, former FCA labor relations chief Alphons Iacobelli and Monica Morgan, widow of UAW Vice President General Holiefield, were named as key figures in the alleged scheme. Both had a plea of not guilty entered on their behalf and were released on $10,000 bonds. The arraignment comes less than a week before Durden's plea hearing, slated for Tuesday, in federal court in Ann Arbor, Mich., according to court records. Iacobelli's appearance is scheduled for the same day. Durden was ordered by U.S. Magistrate Judge David Grand to relinquish his passport following his plea hearing. In addition to his position as an analyst in the accounting department, Durden controlled the budget for the training center, intended to help blue-collar workers, between 2008 and 2014. Iacobelli abruptly parted ways with FCA in June 2015 after Holiefield's death in March that year. At the time, the automaker said Iacobelli retired, but in light of the charges, FCA said Iacobelli and Durden were fired after the company investigated possible wrongdoing with the training funds. Durden, who stood mute during the arraignment, refused to comment as he left the courthouse alone. More people are expected to be charged. Several individuals are mentioned in the 42-page indictment of Morgan and Iacobelli, but the government has yet to release their identities. A union official using funds for non union business?........no way. Those guys are for the workers and honest to a fault. Teamsrrrrgirrl read this? Is this another Beck or Hoffa style of union leadership for union brothers and sisters? Suppose "union style" justice will take care of this within house. Some things are constant, good democrats. ANN ARBOR, Mich. -- One of two Fiat Chrysler officials so far charged in a conspiracy to embezzle millions from a joint FCA-UAW training fund pleaded guilty this morning in U.S. District Court. Jerome Durden, 61, pleaded guilty to one count of conspiracy to defraud the U.S. government, a felony, and one misdemeanor charge of failing to file a tax return for the approximately $4,000 he received in 2013 under the conspiracy. Durden, who was a financial analyst at FCA, is expected to cooperate with prosecutors as they build their case against other conspirators, including Alfons Iacobelli, FCA's former head of labor relations, and Monica Morgan, the wife of the late General Holiefield, former head of the UAW's Chrysler department. Iacobelli and Holiefield are alleged by the government to have embezzled millions from the FCA-UAW Joint Training Center in 2009-14. Durden faces a maximum of 37 months in federal prison when he is sentenced at 9:30 a.m. Dec. 12 in U.S. District Court here. He remains free on bond pending sentencing and completion of a pre-sentence report by the court's probation department. Durden entered his guilty plea on Tuesday morning before U.S. District Judge John Corbett O'Meara. With the start of 2018 model year production, Dodge Truck is boosting the capability of its 3500 HD pickup model; increasing available torque for its optional diesel engine package and adding an optional fifth wheel designed by Ram Engineering that can tow up to 30,000 lbs. Working closely Cummins, Dodge said the 3500 model for 2018 will feature higher boost limits through a variable geometry turbo and flow rate increases through the fuel delivery system for its optional Cummins 6.7-liter I-6 diesel engine. Those improvements produce an additional 30 lb.-ft. of torque for 930 total lb.-ft. of torque. Dodge noted that its 30,000-lb. fifth-wheel towing uprating will allow customers to move away from Class 4 and 5 trucks to haul trailers that would have otherwise been limited to 24,000 lbs. Dodge 3500 Heavy Duty maximum gooseneck and conventional hitch maximum trailer weight ratings for the 2018 model year are 31,210 lbs. and 20,000 lbs., respectively. DETROIT — For more than two years, FCA has been FSBO -- that's For Sale By Owner — with no serious offers. Representatives of a well-known Chinese automaker made at least one offer this month to buy Fiat Chrysler Automobiles at a small premium over its market value, Automotive News Europe sister publication Automotive News has learned. The offer was rejected for not being enough, a source said. Meanwhile, other sources independently identified executives from other large Chinese automakers conducting their own due diligence on a potential purchase of FCA, including meeting last week with representatives of U.S. retail groups about a potential acquisition. A source said FCA executives have traveled to China to meet with Great Wall Motor. And Chinese delegations were seen last week at FCA's headquarters in Auburn Hills, Michigan. Chinese companies are under government pressure to expand outside China by acquiring foreign companies. FCA may be a perfect target, given that CEO Sergio Marchionne has focused on streamlining the automaker's operations to make it enticing to a buyer, making bold moves such as exiting small cars and sedans and revamping the company's manufacturing footprint. It's unclear which Chinese automaker or automakers are pursuing FCA. Different sources have pointed to involvement by different ones -- Dongfeng Motor, Great Wall, Zhejiang Geely Holding Group or FCA's current joint venture partner in China, Guangzhou Automobile Group. But it is also unclear which company or companies are likely to follow through or succeed. FCA isn't talking, nor are any of the four Chinese automakers. But if a sale proceeds, the quintessentially American Jeep brand -- once owned by the Germans and most recently by the Italians/Dutch -- may soon be owned by the Chinese. According to one source, any sale likely would involve FCA's highly profitable Jeep and Ram brands, as well as Chrysler, Dodge and Fiat, but would exclude Maserati and Alfa Romeo. Those two brands would be spun off, as was Ferrari, to maximize returns for Exor, the holding company controlled by the Agnelli family, which owns a controlling interest in FCA, the source said, speaking on condition of anonymity. Why, after two years on the block, is FCA apparently drawing interest from at least one potential Chinese buyer now? The answer: FCA's global network and product -- specifically Jeep and Ram -- fit the requirements the Chinese government has set for attractive acquisitions. Chinese automakers have openly dreamed of cracking lucrative North America for a decade, spending millions to display their vehicles at high-profile U.S. auto shows. Early efforts showed that Chinese automakers had a long way to go before they were ready to compete here. But in more recent years -- through knowledge and expertise gained via joint ventures with the world's largest and most successful automakers -- Chinese companies have closed the quality gap. And the automakers feel like they finally have closed that gap enough to start selling their products in the U.S., said Michael Dunne, president of Dunne Automotive, a Hong Kong investment advisory company and an expert on the Chinese auto industry. They also are under pressure from the government to expand beyond China, Dunne said. A government directive dubbed China Outbound pushes Chinese businesses to acquire international assets from their industries and operate them "to make their mark," much as Zhejiang Geely has done since acquiring Volvo in 2010. Bloomberg reported last week that Chinese companies plan to spend $1.5 trillion acquiring overseas companies over the next decade -- a 70 percent increase from current levels. "Right now, Chinese automakers enjoy the full support of the leadership in Beijing to go and make it happen," Dunne said. "That's something brand new, and it's really picked up since 2015." Along with Volvo, Dunne pointed to Italian tire maker Pirelli and German robotics giant Kuka as Chinese acquisitions supported by the China Outbound policy. Interest has been growing for some time. In May 2016, FCA hosted a high-level delegation from China at its North American headquarters, which included Hu Chunhua, a member of the Communist Party's Politburo and secretary of the party's Guangdong Provincial Committee. Also in attendance were Cui Tiankai, China's ambassador to the U.S., and Zhang Fangyou, chairman of Guangzhou Automobile Group. "The interest is real, no question," Dunne said. "The complications are on the political side: What would this mean for a Chinese company to acquire an American automaker, no matter where its corporate headquarters is based?" For a Chinese automaker that dreams of making a splash in North America, Europe and Latin America, FCA presents as close to a turnkey operation as exists. Globally, FCA has 162 manufacturing operations -- assembly, component, stamping and machining plants -- and another 87 r&d centers. In North America, FCA has a network of about 2,600 U.S. dealerships, as well as extensive distribution networks in Canada and Mexico. And unlike other, larger publicly owned automakers with similar global footprints, Marchionne and his bosses at Exor have made one thing clear: Write a big enough check, and the keys to FCA are yours. When it became apparent in late 2015 that FCA's attempts to merge with General Motors had been rejected and any effort to tie up with Volkswagen was shut down because of that automaker's then-blooming diesel emissions scandal, Marchionne began focusing attention inward, looking at why his company had not been more attractive to potential partners. In early 2016, he began implementing radical changes to make FCA more appealing, especially to an Asian automaker, but also to Volkswagen. First, FCA shocked the industry by ending production of its compact and midsize sedans in the U.S., the Dodge Dart and Chrysler 200. The cars had been among the first fruits of bankrupt Chrysler's 2009 marriage to Fiat S.p.A., but both had disappointing sales. At the same time, Marchionne expanded development for his two cash cows, Jeep and Ram. He retooled plants from unibody construction back to body-on-frame to expand production of the Ram 1500 and Jeep Wrangler, and he announced that, after years of consumer clamoring, Jeep would again build a pickup and would soon build big luxury Jeeps to compete with Land Rover. Product development plans laid out in 2014 -- to vastly expand the Chrysler lineup, for example -- were scrapped. FCA's North American product line would go where the money was: pickups, SUVs and the minivan. The transformation, which will be largely complete by 2018, will mean FCA showrooms will resemble those of a decade ago when gasoline prices spiked: full of SUVs, crossovers, minivans and pickups and devoid of anything smaller or more fuel-efficient. The transformation has helped FCA's quarterly financials, and Marchionne says the automaker is on track to achieve in 2018 what had been widely considered pie-in-the-sky goals laid out in 2014. FCA has also looked hard at shedding holdings not directly related to automaking as a way to free trapped value for shareholders. That could include separation from parts maker Magneti Marelli, casting specialist Teksid and automation provider Comau. On a conference call with analysts last month, Marchionne laid out the strategy. "In order to be fair to our shareholders, we need to make sure that we deliver as much value out of this venture as we can," he said. The prospect of selling FCA to a Chinese automaker has been on Marchionne's mind for awhile. In August 2015, months after he began his quest to merge or partner with another global automaker with his "Confessions of a Capital Junkie" presentation, and while he was launching his soon-to-be-rebuffed bid to merge with GM, the FCA CEO told Automotive News that he had closely studied potential tie-ups with numerous Asian automakers. His conclusion: None of the Asian automakers was looking for partners. He was asked: Anyone in Asia? "I don't think Asia is partner-able," he said. "No, you can be acquired by the Asians. I think China will buy you." Chrysler is like the neighborhood whore. It just gets passed around. I read where if they spun off Jeep and ram, that would be worth more than all of FCA. CHELSEA, MI. Touting its payload, torque and towing power, Dodge Truck (aka. Ram Truck) today officially unveiled its new heavy-duty and commercial pickup truck lineup for 2018. Back in June, Dodge gave industry journalists a sneak peek at the new models during Fiat Chrysler’s What’s New ride-and-drive event at the Chelsea Proving Grounds. Adrian Ratza, brand manager for Chassis Cabs at Dodge, told Fleet Owner that Dodge’s new commercial pickup trucks were built to handle the versatile upfit needs of vocational fleets and municipal applications. Dodge’s commercial trucks are equipped with backup cameras and safety technologies that Ratza said comply with government standards and regulations. For 2018, Dodge continues to offer three-quarter and one-ton pickups with 31,210 lbs. of towing, 7,390 lbs. of payload and 900 lb.-ft. of torque. It also offers more features and improved ride quality with a five-link coil suspension or optional air suspension on Dodge 2500 and a supplemental air bag suspension option on Dodge 3500. Dodge 3500, 4500 and 5500 Chassis Cab trucks are engineered and designed for extreme daily work and to be upfitter friendly, the company noted. Backup cameras made standard on Dodge 3500 Chassis Cab (10,000 GVWR), and Dodge’s Uconnect 8.4 touchscreen radios now include Google Android Auto and Apple Car Play. In addition, Chassis Cab trucks can be ordered with an optional ParkSense Package, which includes a front park assist system. The new cabs also come with handsfree technology with Bluetooth capability on radios. Engine options include 6.4-liter HEMI V-8 gas engine that powers trucks with 370 horsepower at 4,600 rpm (410 horsepower at 5,600 rpm under 10,000-lb. GVWR) and 429 lb.-ft. of torque at 4,000 rpm, and features variable-valve timing (VVT) and Fuel Saver Technology cylinder deactivation. In addition, a 6.7-liter Cummins diesel engine is available with high-output option producing 325 horsepower at 2,400 rpm and 750 lb.-ft. of torque at 1,500 rpm. WASHINGTON -- Fiat Chrysler Automobiles said Tuesday it will recall 494,000 medium and heavy-duty Ram pickups worldwide because of a water pump that could overheat and potentially cause a fire. The recall includes 2013-2017 model year Ram 2500 and 3500 pickups with Cummins 6.7-liter diesel engines, including 443,000 vehicles in the United States. Fiat Chrysler said it is not aware of any injuries related to the issue, but has reports of a small number of fire-related incidents. The company will inspect and potentially replace the water pump. WASHINGTON -- Fiat Chrysler Automobiles next month will engage in settlement talks with lawyers representing vehicle owners suing the automaker over excess diesel emissions, a court-appointed settlement adviser said Wednesday. The talks are set for Oct. 12 in Washington. In May, the U.S. Justice Department sued Fiat Chrysler, accusing the company of illegally using software that led to excess emissions in nearly 104,000 U.S. diesel vehicles sold since 2014. It also faces numerous lawsuits from owners of those vehicles. German auto supplier Robert Bosch GmbH, which develops diesel vehicle systems, has also been sued by U.S. vehicle owners and will take part in the settlement talks next month, settlement master Ken Feinberg said in court. The government will not participate in the talks, Feinberg said. In July, FCA won approval from federal and California regulators to sell 2017 diesel vehicles after it came under scrutiny for alleged excess emissions in older diesel models. An FCA lawyer, Robert Giuffra, said in court the company was confident of being able to use updated emissions software in the 2017 vehicles as the basis of a fix to address agencies’ concerns over 2014-2016 Fiat Chrysler diesel vehicles. Giuffra said the engine and emissions controls were identical in the older vehicles to those in the 2017 models. Justice Department lawyer Leigh Rende said the federal government and California were near agreement on a testing plan with the company to see if the fix will work. The government and company must obtain representative vehicles to test as well, she said. Regulators have said that the older Fiat Chrysler diesel vehicles had undisclosed emissions controls that allowed vehicles to emit excess pollution during normal driving. The company has denied wrongdoing, saying there was never an attempt to create software to cheat emissions rules. VW has agreed to spend up to $25 billion to address claims from U.S. owners, environmental regulators, states and dealers, and offered to buy back about 500,000 polluting U.S. vehicles. Regulators are also investigating emissions in Mercedes-Benz diesel vehicles, but have yet to take any action. Daimler withdrew a request for approval to sell its 2017 Mercedes-Benz diesel models in the United States in May. DETROIT — It's taken a couple months, but EcoDiesel-powered 2017 Ram 1500s have begun to show up on dealership lots for the first time since the federal government accused Fiat Chrysler of not disclosing software that changed the way the vehicle's emissions system operates. But though FCA received official clearance in late July to begin selling 2017 Ram 1500s and Jeep Grand Cherokees powered by its 3.0-liter EcoDiesel engine, the variants may not be around for long. The EPA has yet to certify sales for the coming 2018 model year, a spokeswoman for the agency said. Some dealers began receiving their first EcoDiesel Ram 1500s of the year in late September, according to dealer websites. Others have yet to receive diesel vehicles they ordered. 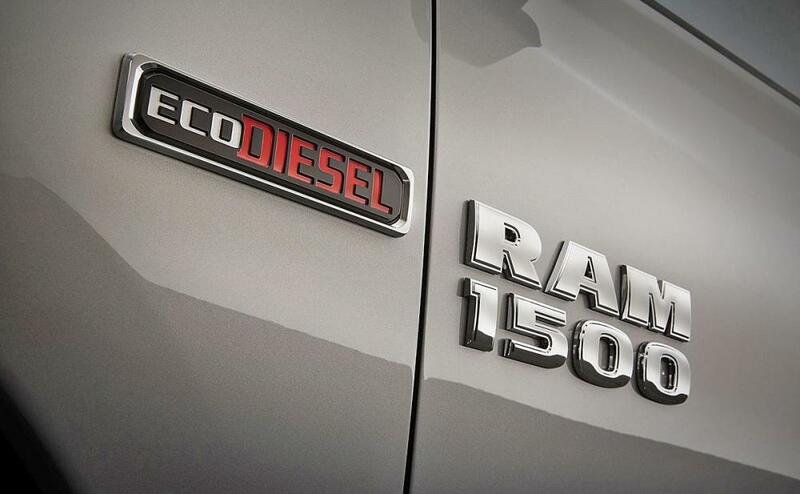 FCA began producing EcoDiesel Rams in early July in anticipation of receiving clearance from the EPA to sell the vehicles, but it didn't begin shipping them to dealers for more than two months. FCA suspended production of EcoDiesel-powered Ram 1500 and Grand Cherokees in late 2016 because they hadn't received certification. In January, the EPA hit FCA with a notice of violation over eight pieces of emissions control software the agency alleges illegally altered vehicle emissions under certain circumstances. In May, the Department of Justice's Environmental and Natural Resources Division filed a civil suit against FCA over undeclared diesel emissions software. FCA says it is continuing to cooperate with the EPA and the California Air Resources Board "to clarify issues related to the Company's emissions control technology" in hopes of settling its dispute. The automaker said in May that it "has developed updated emissions software calibrations that it believes address the concerns of EPA and CARB." FCA said that if it receives permission from the EPA and CARB, it "intends to install the same modified emissions software in 2014-2016 MY Jeep Grand Cherokee and Ram 1500 diesel vehicles." Absolutely love my Ecodiesel. Hope they are around and even in better in 8 years when I'm due for a new truck again. Ram has a plan, it seems, to knock the Silverado out of the No. 2 spot in the full-size pickup segment in 2018 and cut into sales of the midsize Colorado at the same time. How? By continuing to build the current-generation Ram 1500 — likely backed by attractive discounts — while ramping up production of the redesigned Ram 1500. The new Ram, code-named DT, debuts in January at the Detroit auto show. Production will begin the same month at the retooled Sterling Heights Assembly Plant in suburban Detroit. FCA said last week the move to Sterling Heights will expand Ram 1500 capacity by 60,000 trucks annually over current levels. In addition, CEO Sergio Marchionne revealed that FCA will keep the current Ram 1500, code-named DS, on a single shift at the nearby Warren Truck Assembly Plant through 2018. That means even more trucks on dealership lots next year. "I think this is a brilliant plan," said Ralph Mahalak Jr., who owns six FCA dealerships in Michigan, Ohio and Florida. "We can certainly use more trucks." Warren Truck builds up to 100 DS Ram 1500s per shift, which could push another 25,000 half-ton trucks onto the market in 2018 — with their development and tooling costs fully amortized. "The Ram realignment was always designed to allow for parallel production in Sterling Heights and in Warren," Marchionne told analysts last week as FCA reported third- quarter earnings. "Effectively, when we get the new truck up and running at full scale in Sterling we will bring down capacity to one full shift" in Warren, he said. "That will continue indefinitely as long as we see market needs not being satisfied by the overall production capacity. It's going to be an interesting exercise in 2018 as we run it out." The ramp-up to full production in Sterling Heights should take less than six months. But if dealers and consumers keep buying the DS pickup, Marchionne said FCA will keep making it. "My expectation is that we'll run the old installation — and at least for the whole of 2018," he said. "Production capacity is confirmed, so it's up to us to decide how long we run it." Through September, full-size pickup sales are up 5.2 percent, according to the AutomotiveNewsDataCenter. Ram has closed the gap with the Silverado by about 21,000 trucks compared with last year, and has beaten its crosstown rival in three months in 2017. Ram has never finished ahead of the Silverado for a full year. FCA's inventory of unsold Ram pickups is running lean, as are those of the Ford F series and Silverado. While a 60-day supply is considered ideal for car stocks, automakers have typically considered a 100-day supply appropriate for pickups. That's because of the vast number of models, variants and trims dealers must keep in stock. 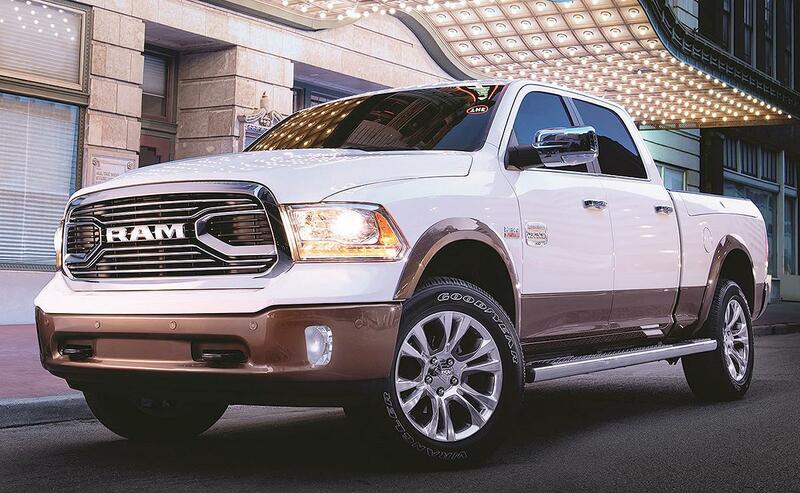 On Oct. 1, FCA reported 152,000 unsold Ram pickups in inventory, an 84-day supply. Ford reported 240,000 F series trucks in stock, a 76-day supply, and Chevy had 180,000 unsold Silverados, an 85-day supply. An FCA spokesman refused to comment further on the company's 2018 strategy for the Ram pickup lineup and whether the Silverado is being targeted. Dave Sullivan, an analyst with AutoPacific, said FCA's motivation likely has more to do with meeting its aggressive 2018 financial targets than bragging rights. "This is about flexing the profit machine as FCA shows what they are really capable of generating for potential suitors," Sullivan said. "Ram will probably ramp up some lower cost/higher incentivized trucks based on the outgoing model to take on compact pickup prices," Sullivan said, adding that Ram is likely to argue to consumers that they "can get more truck from Ram for the same price as a Colorado," Sullivan said. "Because this [current-generation] truck's tooling is amortized, they can offer discounts on it while reducing incentives for the new model. When production stops in Warren and inventory decreases, the hope will be that Ram can hit the reset button for the new Ram and not have it rely as heavily on discounts." For dealers, anything that brings more Ram 1500s to their lots while pickup sales are hot is welcome news, especially amid a booming construction industry. Mahalak said: "Most dealers, will order the new truck as a high-line vehicle, and the old truck as more of a base offering. "It will increase the number of trucks we're able to offer and the price points as well." DETROIT — The next-generation Ram 1500 will get a major tech upgrade when it debuts in January, including a huge touch-screen infotainment system and a power tailgate that can be activated using the key fob, new spy shots reveal. The 2019 Ram 1500, codenamed "DT," is to be shown for the first time at the Detroit auto show in January and is scheduled to go into production the same month in suburban Detroit. The retooled pickup's exterior styling was captured by spy photographers earlier in October after a windstorm blew off its protective cover. Now the new 1500's interior has been caught fully exposed. The photos show a large, vertically oriented infotainment screen that looks to rival the 17-inch screen in the Tesla Model S, and would host both the pickup's infotainment system and climate controls. As the automaker has done with its previous versions of Uconnect, the new Ram will keep redundant analog controls for its systems, along with those integrated into the touch screen, the spy shots show. It is unclear which trim level of the 2019 Ram 1500 appears in the photographs, but they show added safety features as well, including park assist, lane-keep assist and a built-in trailer brake. The pickup's air suspension system — which can raise and lower the truck's height to improve ingress and egress, will be carried over — the shots show. A photograph of the pickup's key fob also reveals a new power tailgate button, but it's unclear whether the tailgate can be activated to both open and close. The shots also reveal a redesigned console with improved storage space. The next-generation DT Ram 1500 should be in U.S. dealerships in spring 2018, and will be sold alongside the current generation DS Ram 1500 for at least a year while production of the newer version ramps up, Fiat Chrysler Automobiles CEO Sergio Marchionne said last week. One of the things I like about the older vehicles is that once you get familiar with them, you don't need to take your eyes off the road to work the controls. 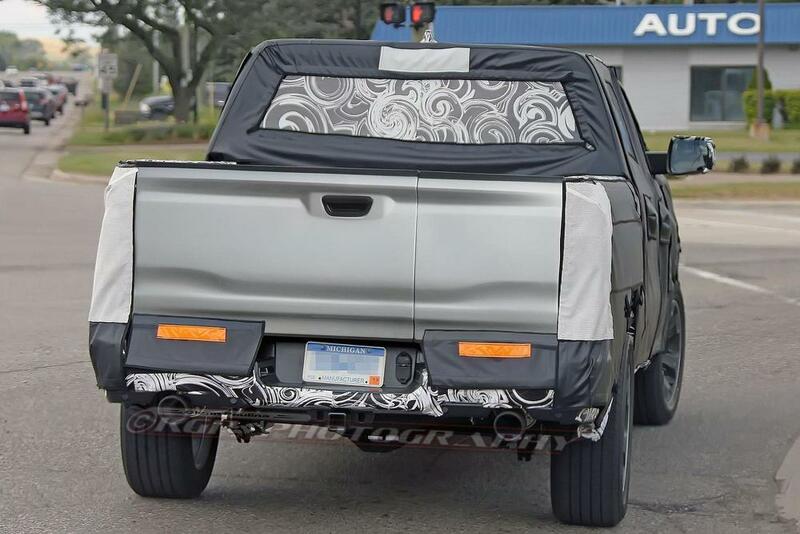 Spy photographers have caught confirmation that at least some versions of the next-generation Ram 1500 pickup will have a new dual-function tailgate, capable of both dropping down in the traditional manner or opening up 'French door' style. The tailgate design makes it easier for consumers to access the pickup's bed, without having to reach over the dropped tailgate or climb up on it. Earlier spy photos confirmed that the next-generation Ram 1500's tailgate can be dropped remotely using a button on the key fob. FCA US plans to begin production of the next-generation Ram 1500 in January at a retooled assembly plant in Sterling Heights, Mich., and will introduce the redesigned half-ton at the 2018 Detroit auto show.